How to make Caramel Coconut Overnight Oatmeal – just 5 minutes prep the night before gives you an easy grab and go breakfast the next morning. 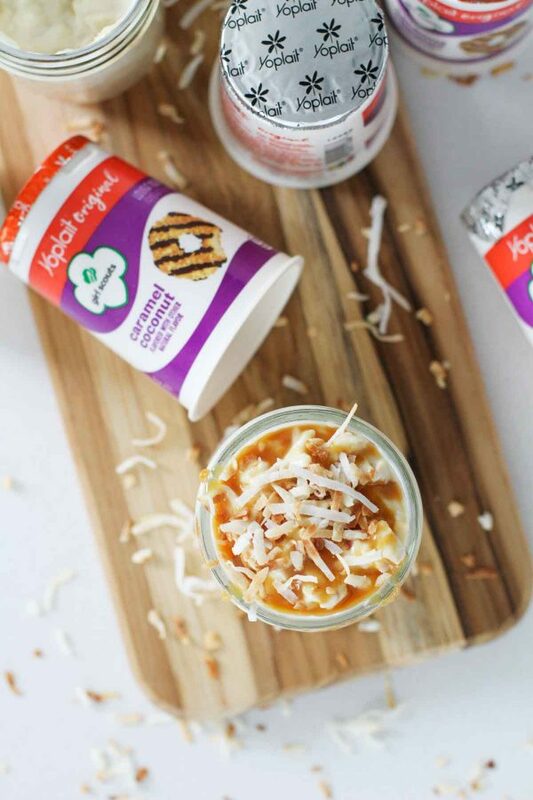 Super simple, and all you need are oats, Yoplait® Original Girl Scout Cookie™-Inspired Caramel Coconut yogurt, and toasted coconut! Disclaimer: This post is in partnership with Yoplait. All thoughts and opinions are 100% my own. It’s funny how we get caught up with things that we think we do and don’t like – even as adults. We blame kids of this all the time. (At least I do!!) “Just because you didn’t like broccoli as a toddler doesn’t mean you won’t like it now!” We have them try and try again, and really, many times, they come around and end up liking what we are giving them. Or at least tolerating it. I’ve always been a pretty easy going eater. At least as far as I can remember. The only things I didn’t like as a child were sweet potatoes, oatmeal and hot cereal (like cream of wheat). Probably about 5 years ago, I decided to give sweet potatoes another try. 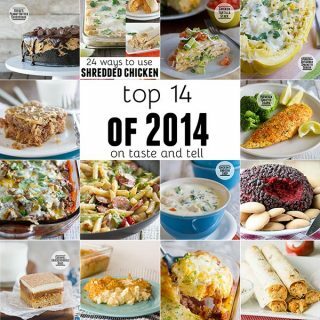 And guess what – they are now one of my very favorite foods. I’m kind of mad at myself for going all those years without them, just because I thought I didn’t like them. Luckily, I didn’t pass my few food aversions on to my kids (although they do have their own, haha). Oatmeal, which I detested as a child, makes an appearance on our breakfast table multiple times a week. And I actually posted recently about how I’m starting to come around to oatmeal. 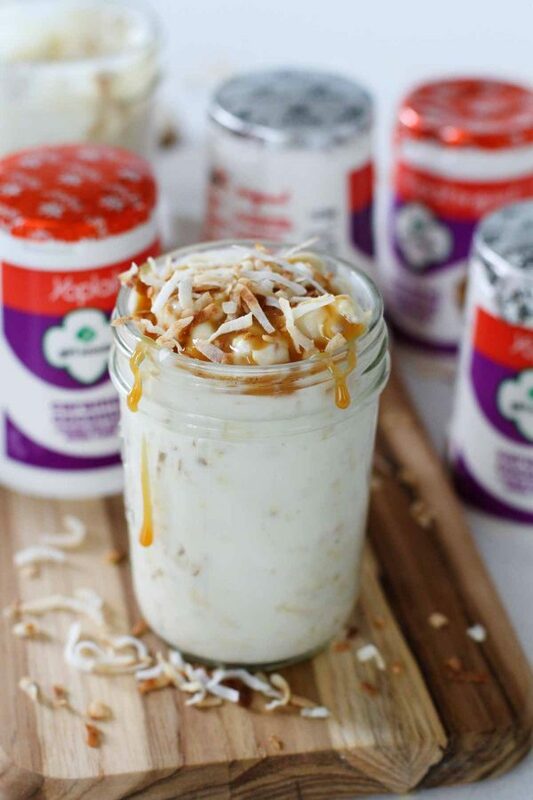 See how to make this Yoplait® Original Girl Scouts® Caramel Coconut Overnight Oatmeal here! But now, I think that I’ve passed that point of tolerating oatmeal, but have started actually loving it! – and the secret is in the preparation. So I know that overnight oatmeal has been around for a long time. But it has never interested me before, simply because I wasn’t in a loving relationship with oatmeal. But my kids have inspired me to branch out, and I decided to give them ago. You guys – it was love at first bite. 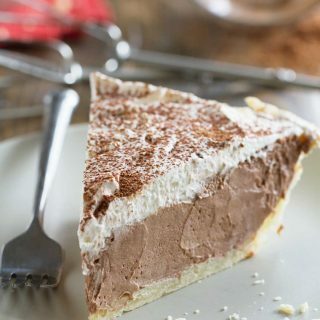 And not the kind of like where I just tolerate it, but the kind of love where I’d make a batch of these to go in the fridge for the whole week. No more slimy oats! No more weird texture issues! Just lots of flavor and goodness. Another favorite thing about this overnight oatmeal is how easy it is to make. 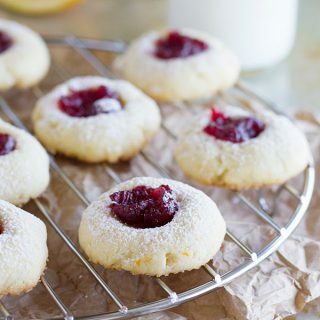 You could seriously make them with 2 ingredients, although I threw in a few extras to take it up one more notch. 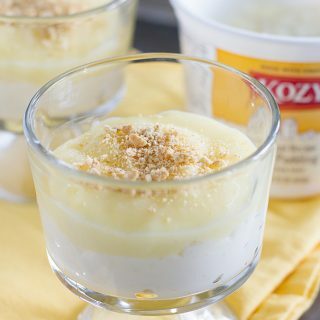 The secret ingredients are old fashioned oats and Yoplait® Original yogurt. Yep, that’s it!! Yoplait® recently introduced three new Girl Scout Cookie™-inspired yogurt flavors, and they have all become family favorites. There is Yoplait® Whips! Thin Mints®, Yoplait® Whips! Girl Scouts® Peanut Butter Chocolate, and Yoplait® Original Girl Scouts® Caramel Coconut. 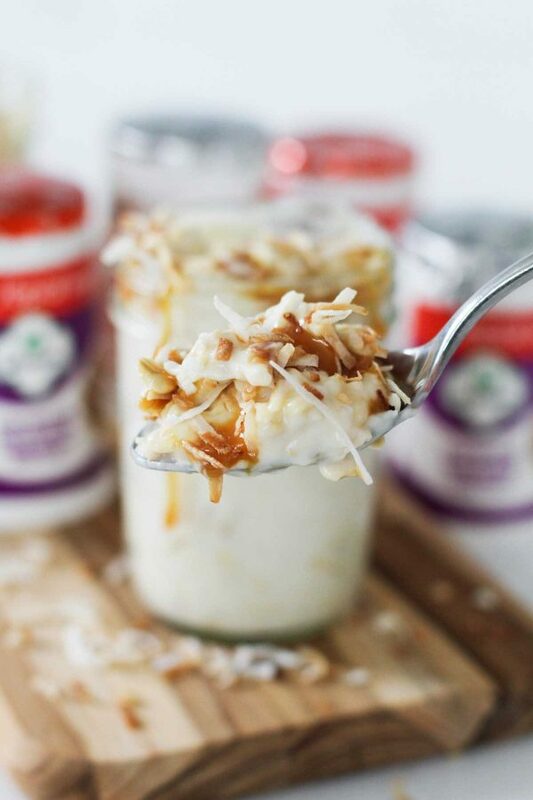 For this Caramel Coconut Overnight Oatmeal, I used the Yoplait® Original Girl Scouts® Caramel Coconut yogurt. All you do is mix the oats with the yogurt, refrigerate it overnight, and voila – you have breakfast in the morning! 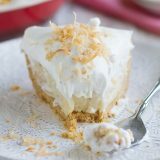 I did add in some toasted coconut, and then topped mine with some more coconut and a small drizzle of caramel, but those are just icing on the cake. And while I love this flavor combination, this would be super simple to do with any Yoplait® Original flavor. (Check out all of the Yoplait® flavors at yoplait.com/products). 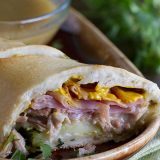 So not only is it delicious and easy, but it sure does make mornings easier around our house. Getting kids up and ready and backpacks gathered and lunches packed and hair done – well, it can be exhausting. 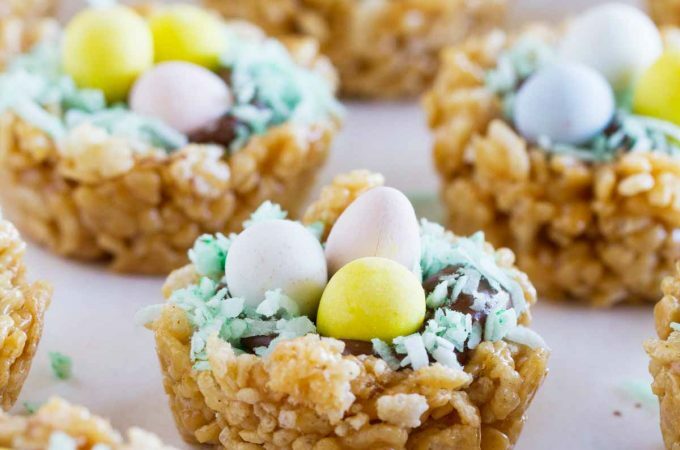 Anything to lighten that load is welcome, and since these are made the night before, they make the perfect grab and go breakfast. They are especially great on those mornings when kids need to be to school at different times. 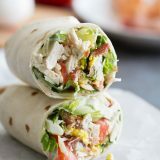 Since the kids can just grab one when they are ready to eat, it means mom isn’t in the kitchen all morning making sure everyone has something made for them to eat. 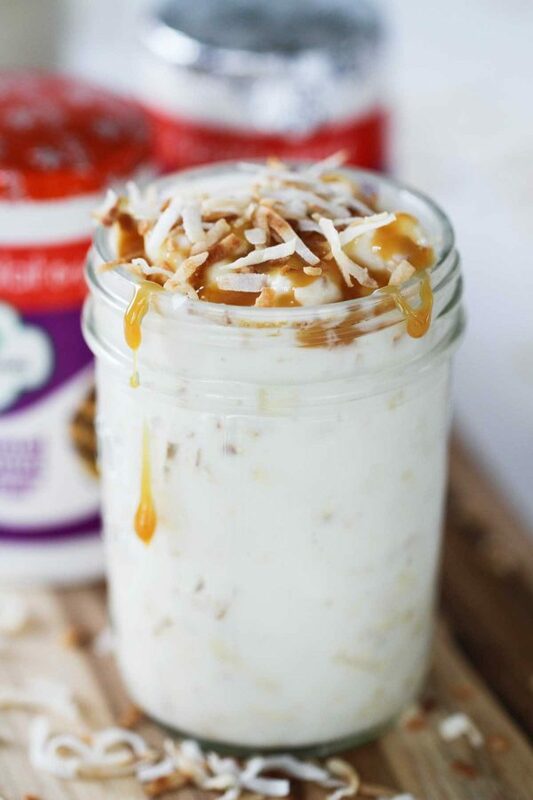 You could even pack one of these Caramel Coconut Overnight Oatmeal jars in their lunch for an easy and filling lunch idea. I’d say this is winning all around! 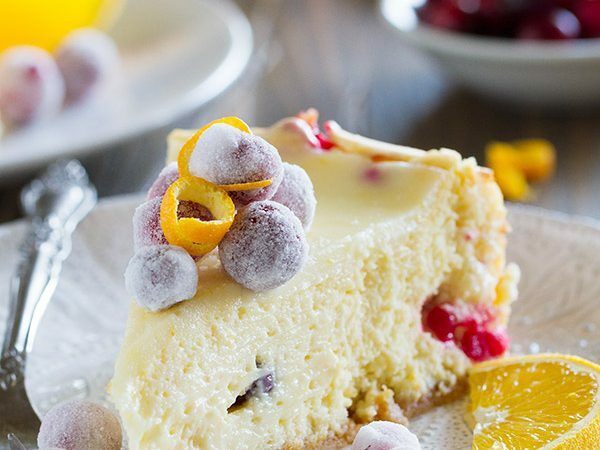 Want more recipes using Yoplait® yogurt? 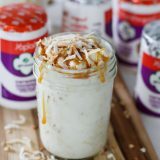 How to make Yoplait® Original Girl Scouts® Caramel Coconut Overnight Oatmeal – just 5 minutes prep the night before gives you an easy grab and go breakfast the next morning. 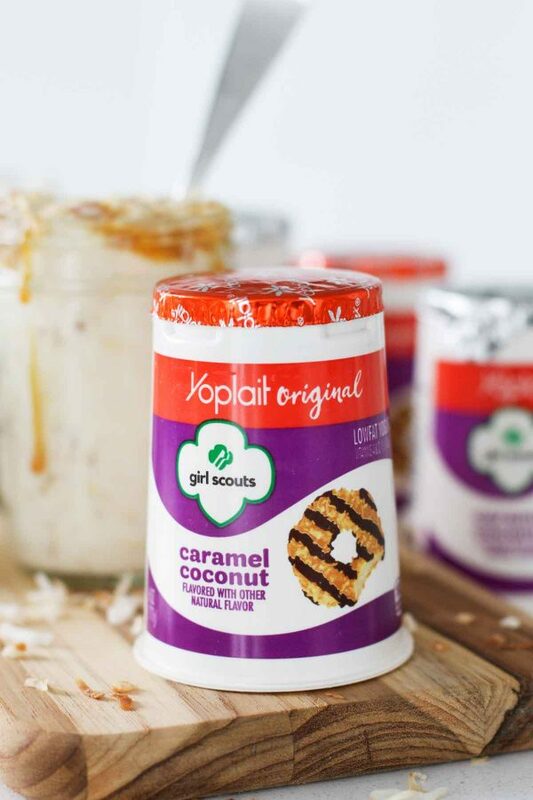 Super simple, and all you need are oats, Yoplait® Original Girl Scouts® Caramel Coconut yogurt, and toasted coconut! Place the oats in the bottom of a half pint jar or other container with a tight fitting lid. Add the yogurt and the toasted coconut and stir to combine. Screw on the lid and refrigerate for at least 8 hours, or up to 3 days. When ready to serve, top with caramel sauce and additional toasted coconut, if desired.